Happy International Women's Day! 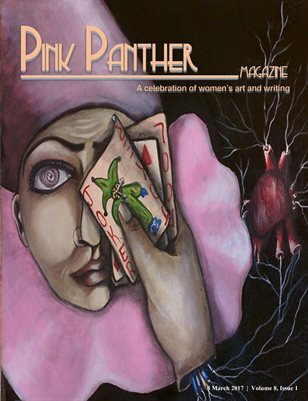 Pink Panther Magazine is thrilled to launch our 26th issue, Volume 8, Number 1. PPM launched its first issue eight years ago today. This issue’s feature gallery and interview showcases long-time member Helene Ruiz’s art and artist’s journey. The art and poetry featured in this edition weave together work that observes our shared world through a crack in the universe. The issue wraps up with a poetry feature of Laura Bodary's selected works.